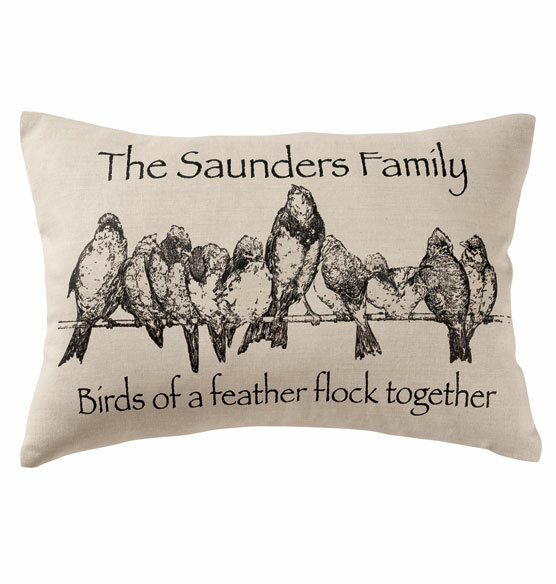 Your favorite family or group will love the symbolism of this Birds on a Wire personalized pillow. The bird imagery on the cotton cover is perfect for celebrating the common threads that bind large families, sororities and other groups. 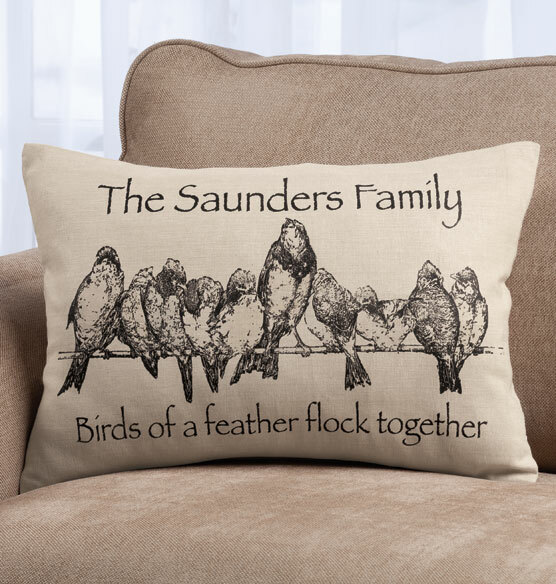 Personalized with a name or message across the top, the custom throw pillow adds a bit of self-expression to a bench or chair. Makes a one-of-a-kind gift idea. Beautiful... I got one for myself and one for my daughter.